Instagram Business: Should You Make the Switch? Instagram Business profiles made their debut in 2016 and since then business owners have been questioning whether or not they should make the jump. It's an important decision- you've put a lot of time and effort into your social presence! No need to worry, we are here to give you all the info you need before making your decision. There are over 25 million business profiles worldwide and to add to that, over 200 million Instagram users visit at least one Business profile a day (not kidding). But even saying that, Business owners are still apprehensive about making the switch and we don’t blame them. After all of the heartbreak with Facebook’s new algorithm we understand that businesses are worried about losing engagement and activity. You’ve put a lot of hard work into your social media accounts, you don’t want to lose all of that in seconds! There are obvious pros to switching to a Business profile. First, the analytics are a wonderful tool. You can see the number of profile visits and website clicks, the reach and impressions your posts have had, and the location, age range, and gender of your audience! It’s all very easy to use which is nice compared to other analytic tools. You can also run ads on Business profiles which is a great way to get your audience’s attention. It works very similarly to Facebook (because Facebook owns Instagram) so it isn’t super complicated. There is also an option to add an email or call button to your profile so that your customers can easily contact you. Another plus- it’s totally free! It’s not all sunshine and rainbows though. Some people don’t want their profiles labeled as a “business page”. It may seem less real and personal, which is a real concern because business to customer relationships are based on trust and transparency. Also, Instagram’s algorithm, like Facebook’s, will tend to show friends over businesses so your business profile may not show up frequently on the explore page. Instagram business can be a great way to grow your following and the cheap price tag makes it much more appealing. However, before you decide to make the switch, weigh the pros and cons of switching and how it would affect your business. If you do decide to make the switch and end up hating it, you can always switch back to a personal account! 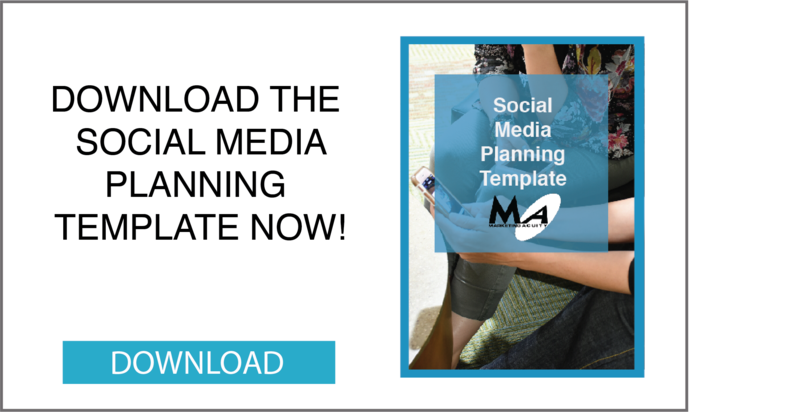 Make your social posting easier and stay organized with our Social Media Planning Calendar!